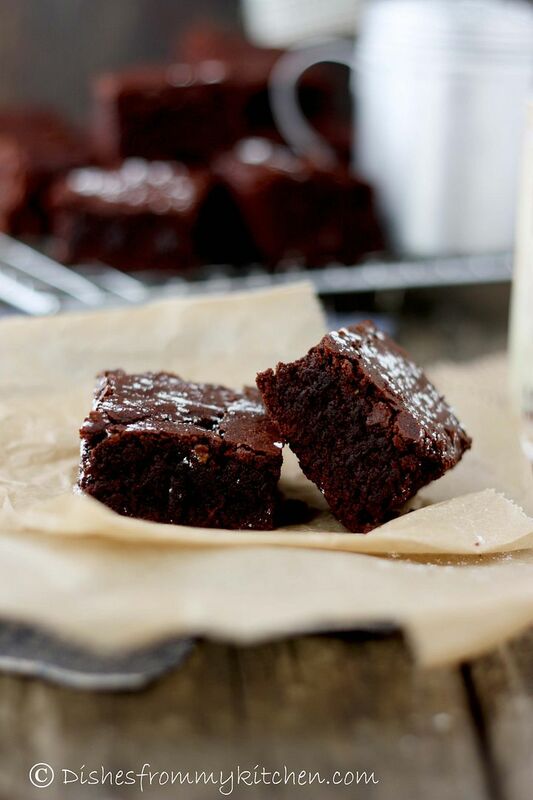 Dishesfrommykitchen: AVOCADO BROWNIES - TRULY FUDGY AND CHOCOLATEY !!! DARING CHALLENGE MARCH 2013! 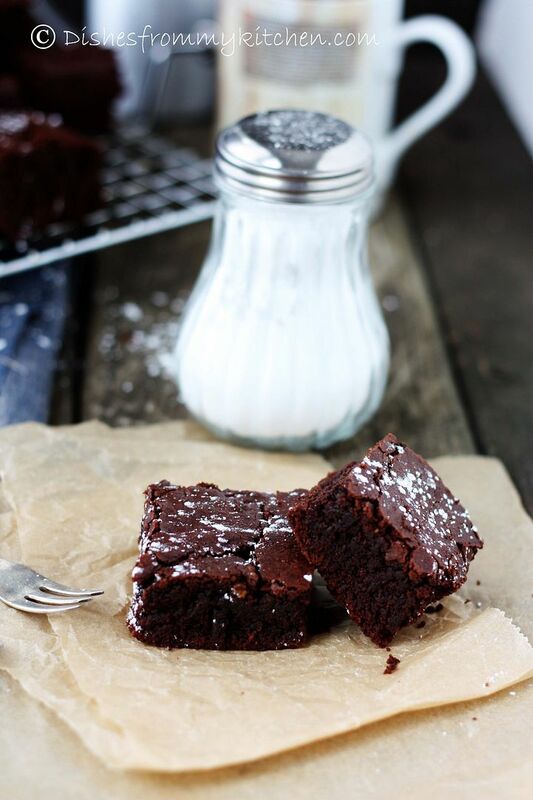 AVOCADO BROWNIES - TRULY FUDGY AND CHOCOLATEY !!! DARING CHALLENGE MARCH 2013! 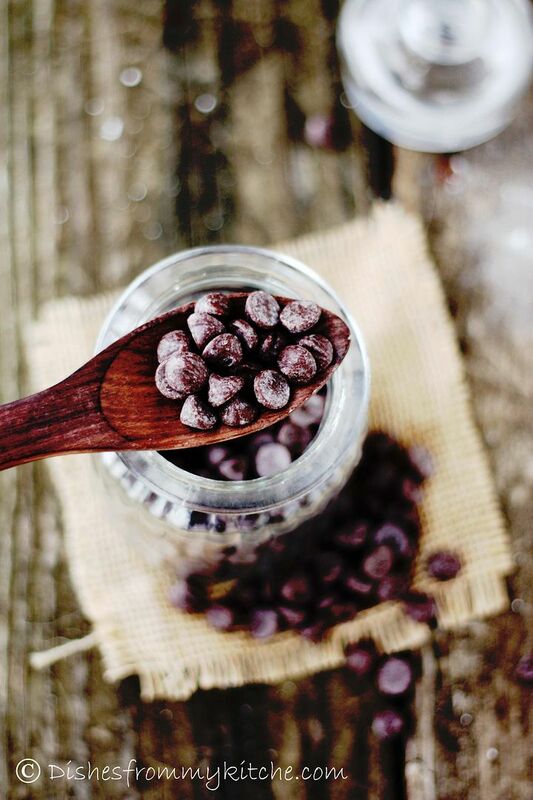 So we need to get creative with hidden veggies by baking them into a sweet treat of our choice. I came up with a Brownie made with Avocado. Avocado with chocolate is a wonderful combination. This is an awesome Brownie which is very fudgy, very chocolatey, with very less butter and has great texture and taste. To top it all, people will not find difference between this Brownie and the normal brownie unless you tell them. You can indulge in this guilt free because it has very less butter in this. Also this brownie becomes a healthy brownie because of the Avocado. 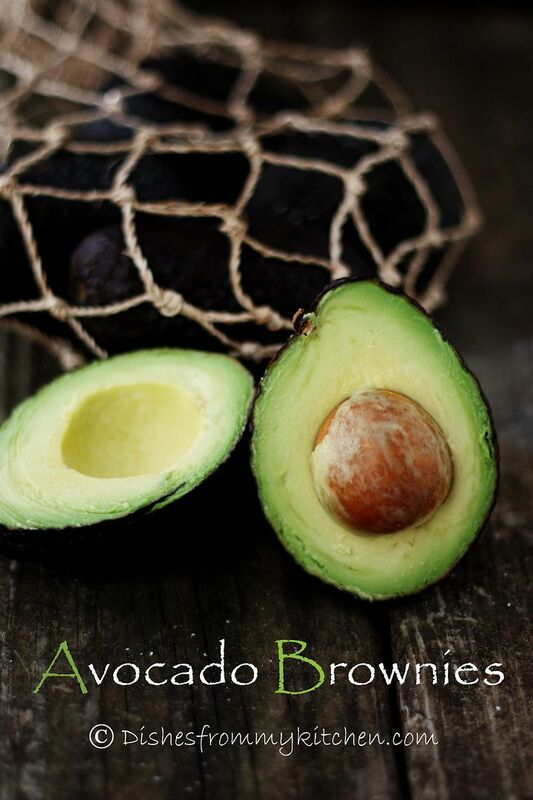 You can substitute the Avocado with banana if you don’t have Avocado [The taste will slightly differ if you use banana, the banana flavor will come into play]. 2. Sieve all the dry ingredients. 3. In a microwaveable bowl add chocolate chips and butter. Microwave till they are melted by stirring every 1 minute. 4. Add the coffee granules to the melted chocolate and mix. 5. 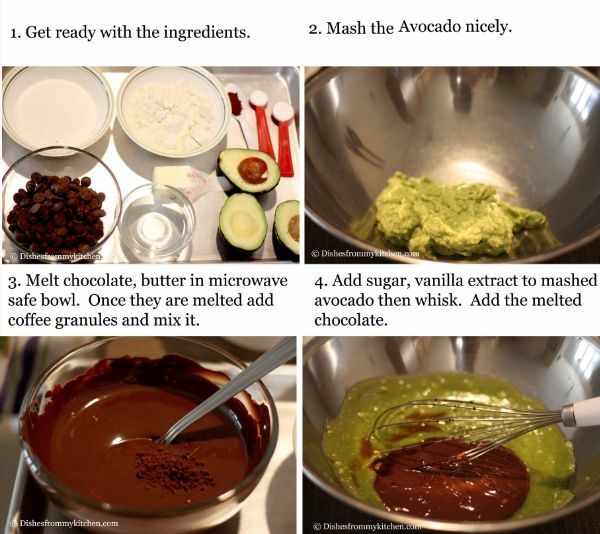 In a bowl add sugar, mashed avocado, vanilla, melted chocolate mixture and hot water one by one. Whisk the mixture till they are well blended. 6. Add the dry ingredients to wet ingredients. Stir until well combined. Don't over mix. 7. Pour the mixture in the 8 by 8 inch pan and even the surface. 8. Bake brownies to 25 minutes or a toothpick inserted in the center will come out either clean or with only a few crumbs clinging to it. 9. 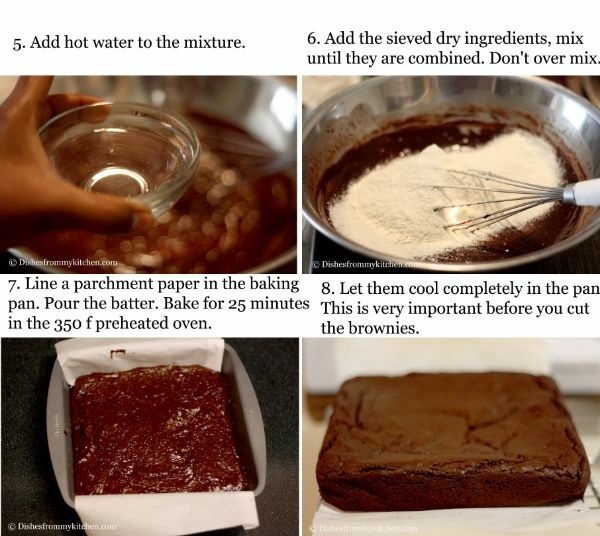 Leave the brownies in the pan until it is completely (this is a must) cooled. This is very important to get neat squares. 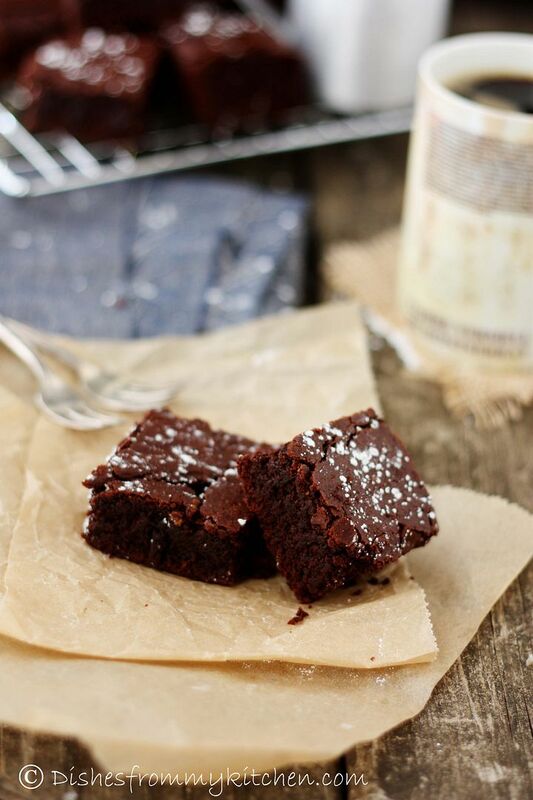 This avocado brownie is truly very chocolaty and fudgy. They taste very much tastier the next day. 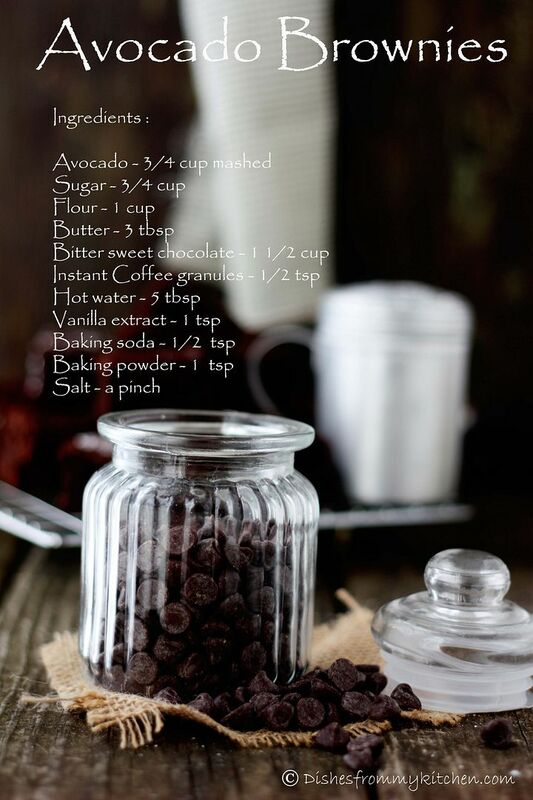 You can also add Walnuts or chocolate chips of your choice. 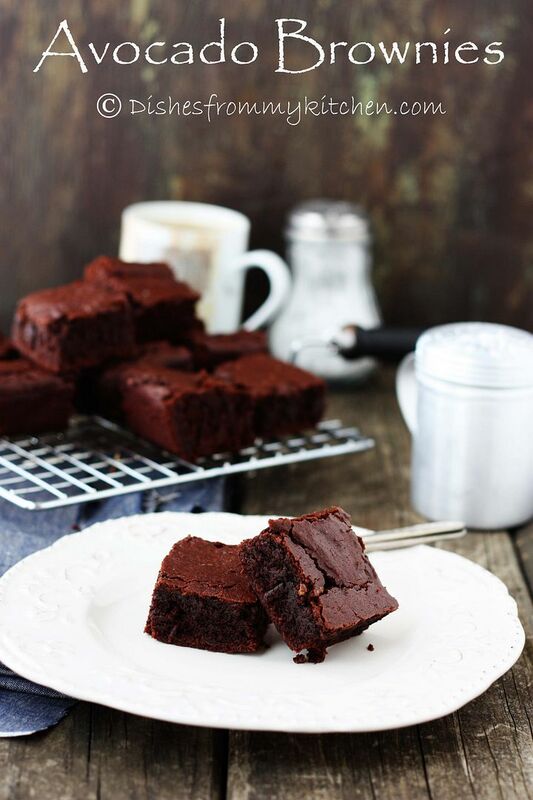 You can also frost this brownies with chocolate ganache, your favorite frosting or even serve it with ice cream or simple whipped cream. 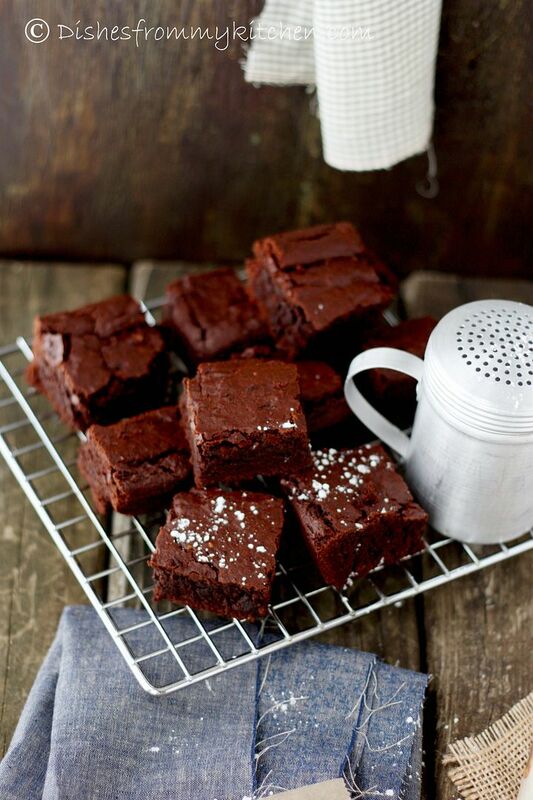 Wow Pavi brownies look super soft and moist.Never heard about this brownies.Would love to taste. Fantastic job! 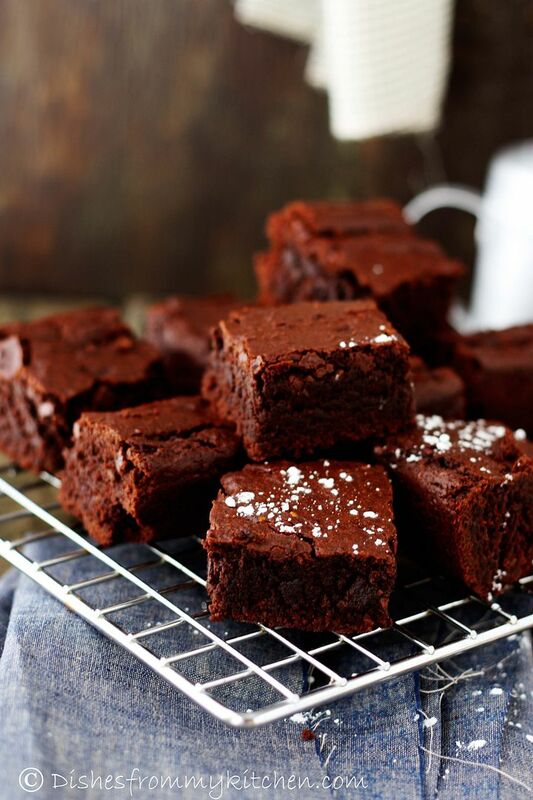 Your brownies look utterly divine, and I bet they were very moist! 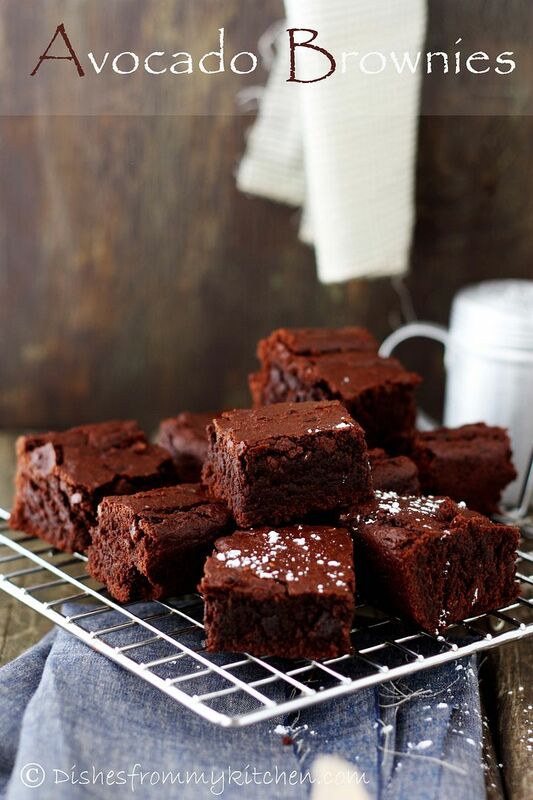 The brownies look amazing Pavi, so chocolaty and fudgy! Fab shots!! 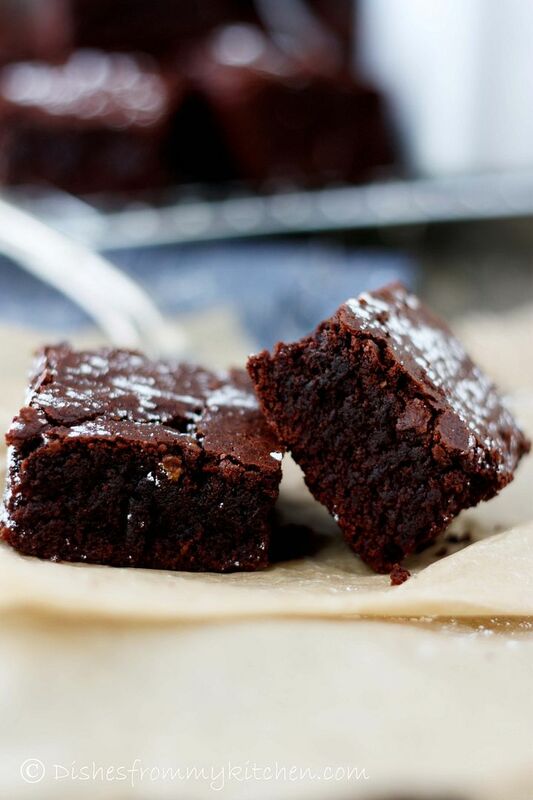 Photos are beautiful and brownies look amazing! I had once made avocado pudding with chocolate but I didn't add any cream to it. It was absolutely YUM. 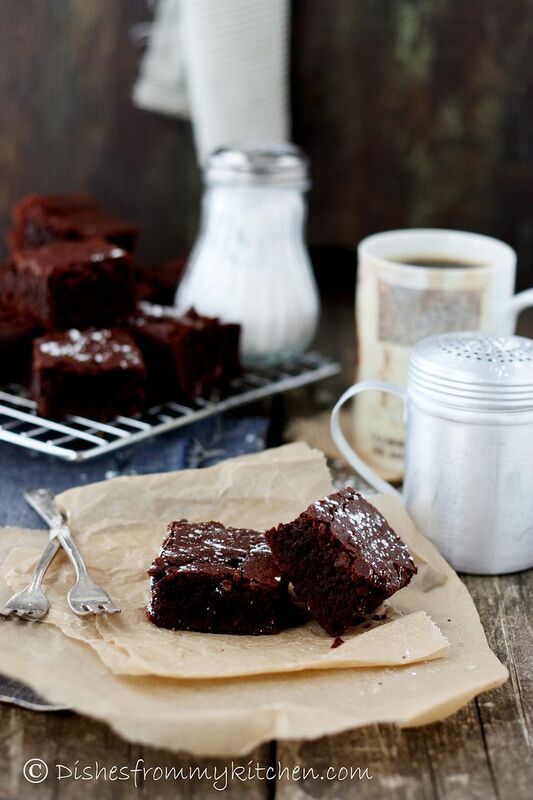 This brownie I am sure is a HIT! 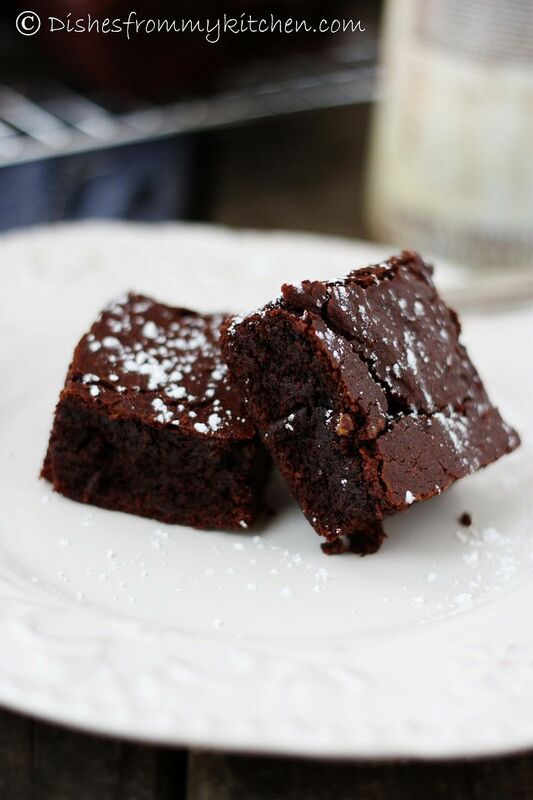 I re-made your brownies (if you are interested; www.swissmissinthekitchen.com) and they turned out fantastic!!! Many thanks for this amazing recipe! Definitely a keeper! !